Ensuring a strong and healthy start for children requires a focus on promoting oral health care and preventing and treating early childhood caries in order to arrest the development of long-term complications‭. ‬To identify and address early childhood caries‭ ‬in children‭, ‬a systems approach is needed‭. ‬Medical and dental professionals‭, ‬health plans‭, ‬clinics‭, ‬and the various systems in‭ ‬a young child and family’s life should communicate and coordinate to advance a child’s oral health‭. 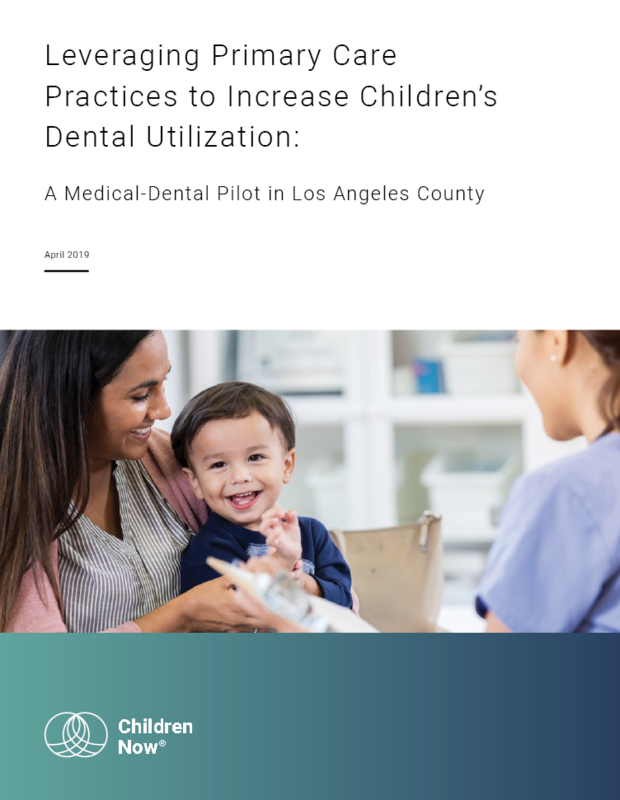 ‬This brief provides an overview of Children Now’s medical-dental collaboration pilot project‭, ‬one example of a systems approach that sought to improve children’s oral health in Los Angeles County‭.